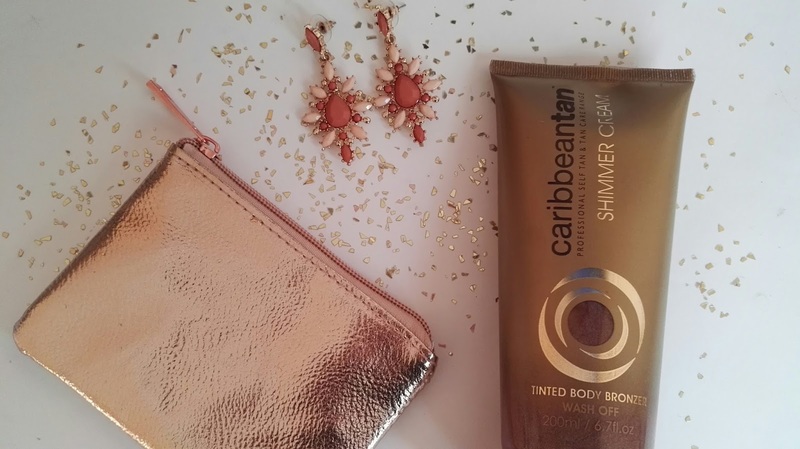 I received this Carribbean Tan Tinted Body Bronzer Shimmer Cream yesterday and I absolutely cannot wait for summer to come around now. Carribbean Tan is the No 1 selling sunless tanning brand in SA and they are known for manufacturing world class tanning products. 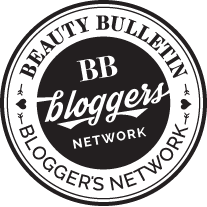 When it comes to beautifully bronzed skin this is definitely the answer. So if you not wanting to commit to the a 2 week tan the new and improved Tinted Body bronzer Shimmer cream is the way to go for gorgeously glowing skin. The packaging has been beautifully upgraded and the formula has been enhanced too. It is formulated with Vitamin E and Cranberry Seed Extracts, providing you protection and hydration for your skin while giving off the perfect sheen. 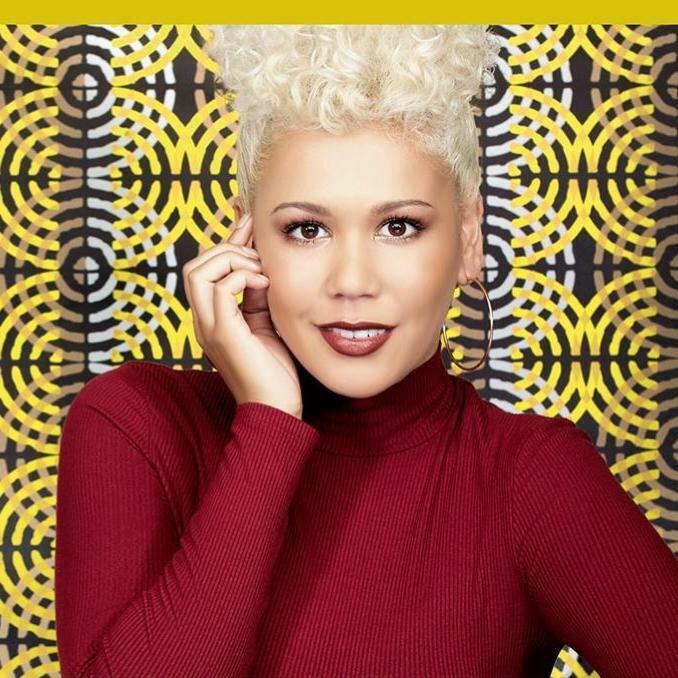 Available at Clicks, Dis-Chem, Takealot.com, Caribbeantanintl.com and selected pharmacies nationwide. 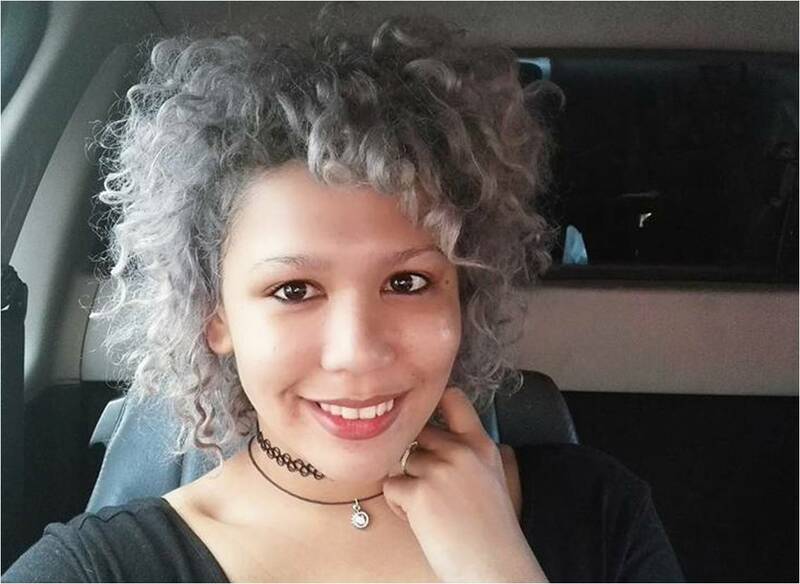 So about 2 weeks ago I got to experience the most amazing ZO Skin Brightening Treatment at Legs eleven Beauty Aesthetic Specialists in Cape Town. I have done many different facials as a blogger but nothing quite as refreshing and fresh as this treatment leaves your skin feeling. So while getting the treatment done I was explained in detail as to what each product does and why DR Zein Obagi the creator of ZO® Skin Health, Inc. is so passionate about skincare. Face is cleansed with Offects Hydrating Cleanser to gently remove makeup and impurities from the skin. It also helps lock in necessary moisture for a healthy complexion with Panthenol and Allantoin. 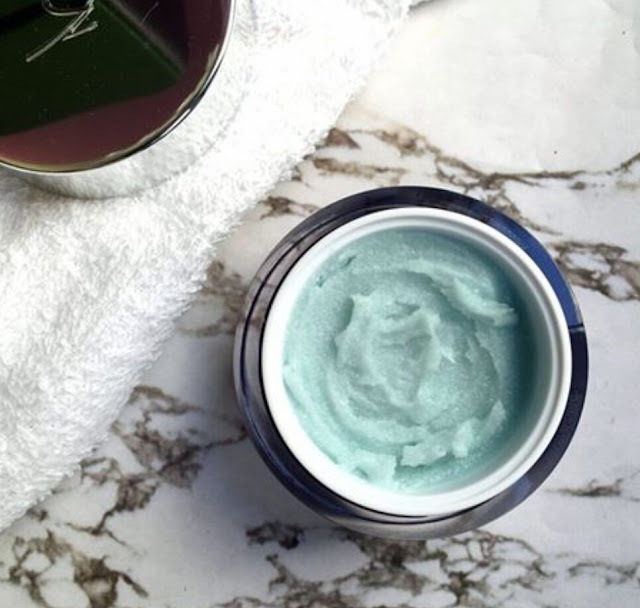 Offects Exfoliating polish (a.k. “the love bite”) is lightly massaged over the face and décollete and improves skin texture and restore glow in just one minute. The ultrafine magnesium crystals polish the skin, removing dead skin cells and promoting healthy circulation and cell turnover. It enhances the penetration of active ingredients. 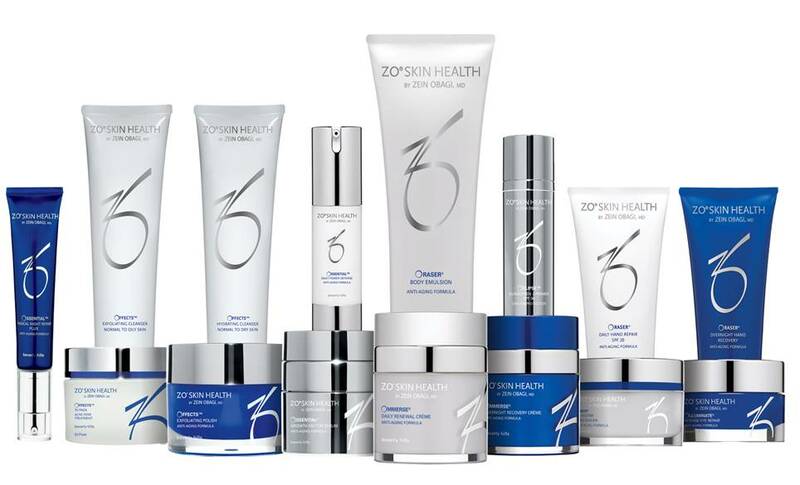 Vitamins A, C E and c-ester provide antioxidant protection to the skin. A prep solution is applied with cotton pads to remove any excess oil on the skin for better penetration of the peel solution. It also delivers anti-inflammatory and anti-irritation benefit and helps brighten the skin. with mulberry, liquorice, bearberry, and scutellaria extracts, kojic acid, lactic acid, ascorbyl palmitate and other botanicals. The area is then neutralized with pads soaked with Ossential Peel Neutraliser (sodium bicarbonate) restoring the skin to its natural pH. A warming sensation may be experienced. This may last up to 10 seconds and then dissipate very quickly leaving the skin calm, balanced and soothed. 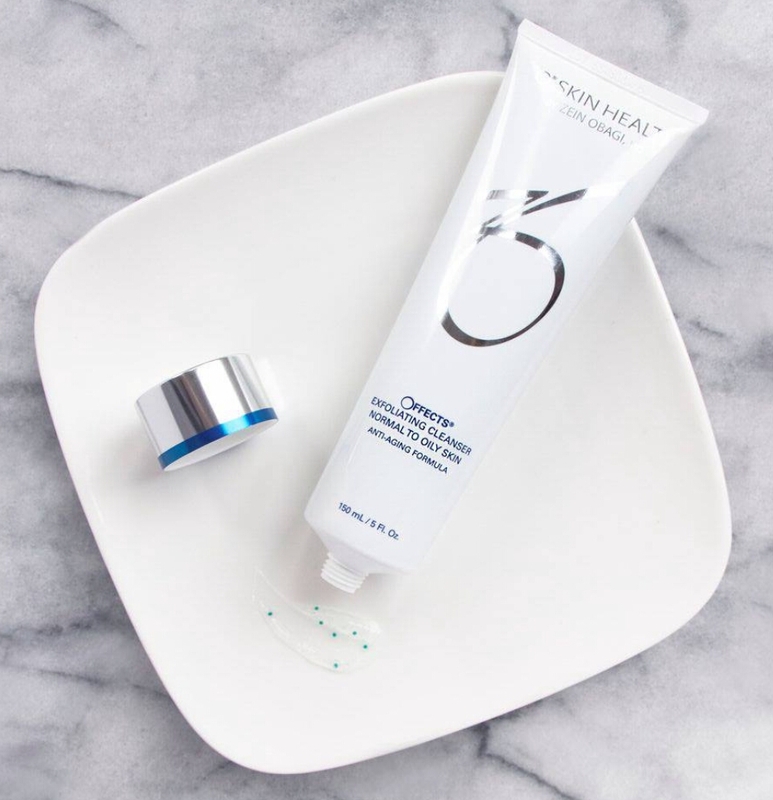 A cooling, soothing and hydrating masque, the Ossential Aloe Hydra Masque is applied and massaged into the face, neck and decollete for 5-10 minutes. Perfect to restore lost moisture in the skin and herbal extracts provide soothing benefit to reduce any redness and irritation. 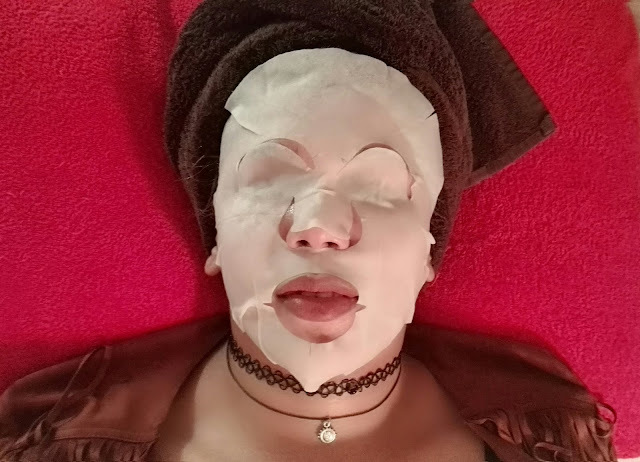 The skin brightening sheet masque is gently smoothed over the face including the eyelids and left on for 10 to 15 minutes. A unique blend of brightening ingredients (Arbutin, mulberry root extract, green tea, vitamin E) helps to brighten the skin and reduce hyperpigmentation to create a more even skin tone and a fresher, clearer and more youthful appearance. 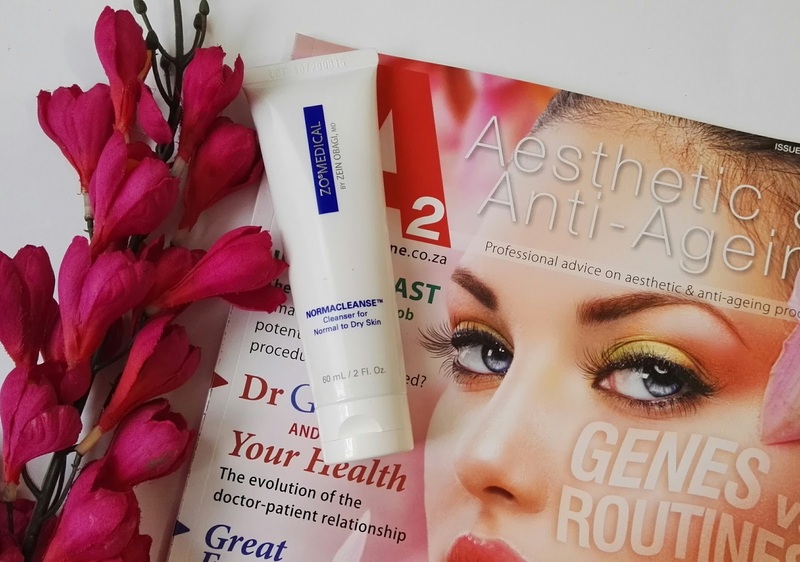 Ossential daily power defence serum is applied to the face and neck. It replenishes nutrients and provides the skin with the necessary antioxidants and DNA repairing enzymes to protect the skin from UV damage and accelerate the healthy skin process. Oclipse Sunscreen + Primer SPF 30 is applied to the face and neck. This formulation provides the broad spectrum protection the skin needs. It contains natural melanin, titanium oxide and zinc oxide to provide advanced, triple-spectrum protection against UVA, UVB, HEV (high energy visible light) and infrared rays) . This amazing sunscreen doubles up as a makeup primer for smooth, flawless application of make-up. "Dear Deer satin pillow slips maintain natural moisture balance in your hair. Prevent dry, fizzy and dull hair therefore keeping hair shiny. No more split ends or breakage, and they help your blowouts last longer. They minimize facial wrinkles and puffiness. And won’t absorb your expensive face creams"
In celebration of Arbor month (September) Dear Deer is making a big fuss helping Greenpop spread the word about their Tree-mendous project. Greenpop is on a mission to (re)connect people with our planet & each other. They plant trees in urban greening and reforestation projects & have fun doing it. Greenpop was founded in 2010 and has since planted almost 70 000 indigenous and fruit trees at schools and other urban sites, community farms as well as forests across South Africa, Zambia and Tanzania. It’s a Treevolution. Get involved! 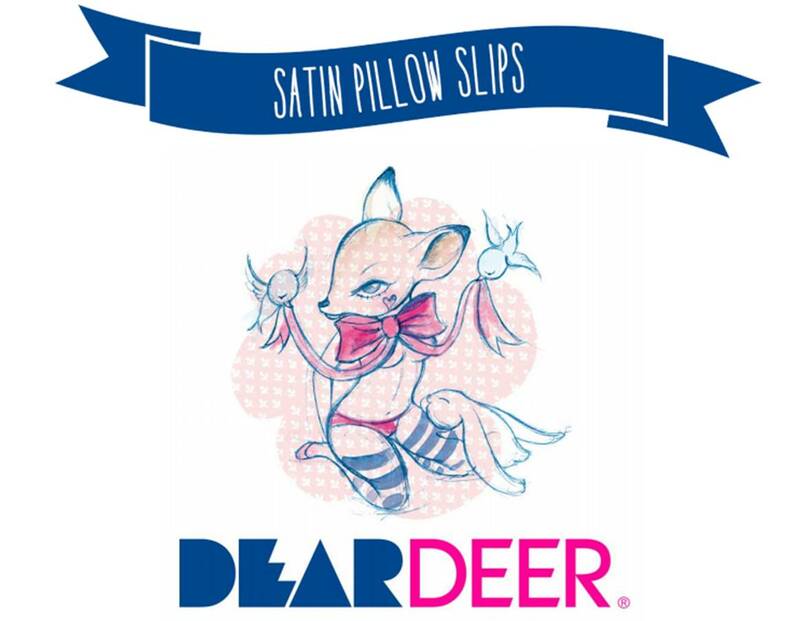 Dear Deer donates R5 of every white satin pillow slip sold to this Treemendous project. And to celebrate Arbor month we have now launched selling trees on our online store. www.deardeer.co.za/products/greenpop-tree Customers can now sponsor a tree (or two, or three) and they will receive a personalized certificate to showoff and inspire others to get involved. Dear Deer will donate the full R120 to Greenpop. Get involved by clicking “Like” and “share” a Greenpop post on the Dear Deer Facebook page (Click here to be redirected to the post) & Follow Dear Deer on Instagram click here. 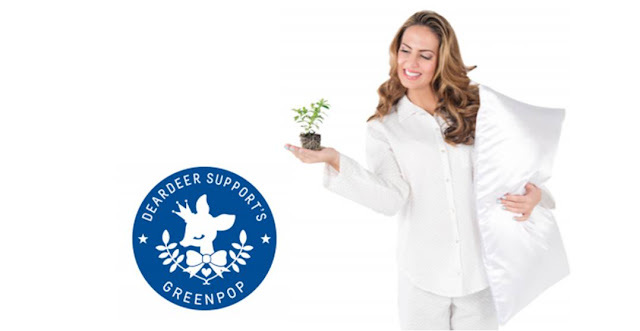 You can the stand a chance to win a set of white pillow slips and Dear Deer will also buy/sponsor the winner a tree worth R120, which will be donated to Greenpop, you will get send a personalised certificate! 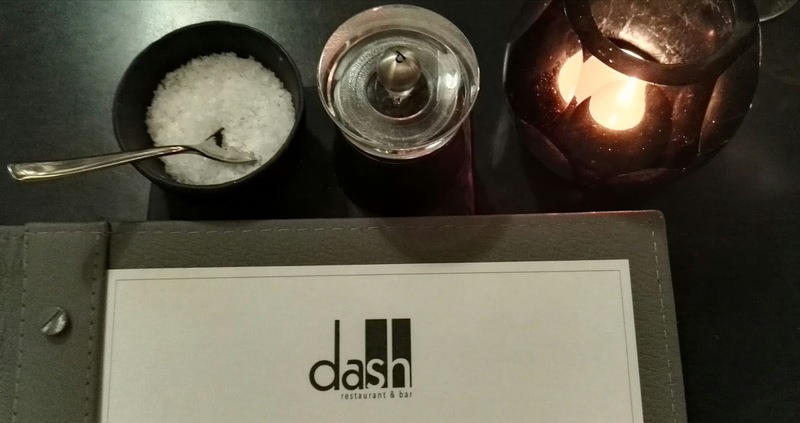 Over the weekend, my husband and I got the opportunity to dine at the prestigious Dash restaurant which is situated within the Queen Victoria Hotel in V&A Waterfront. 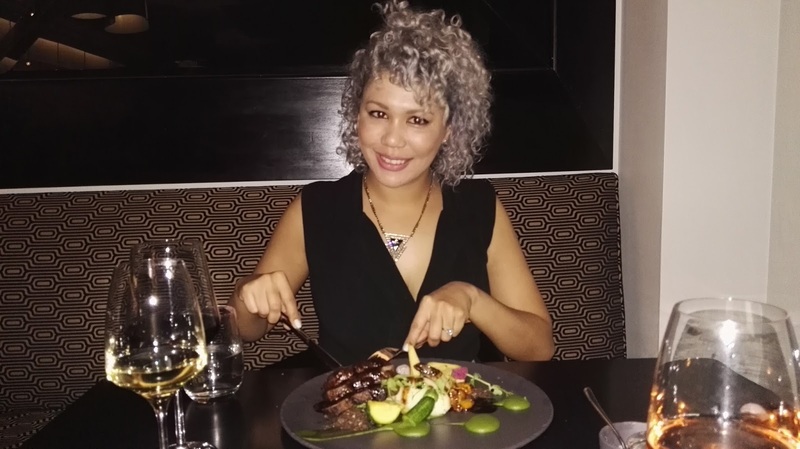 It's on a rather rare occasions that hubby and I get to really dine out together due to our often crazy schedules most of the time clashing, but when we do it is always such an absolute treat. We arrived at about 7pm and the mood was completely set for an intimate dining experience. We walked in to the sounds of the pianist playing the most beautiful classical hits and a lovely dimmed candle-lit setting. Somehow I knew that this evening was one that I was about to remember for a very long time. We started of by ordering our starters. 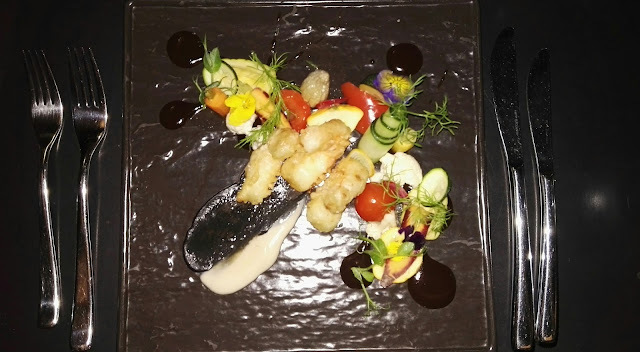 I had chosen a lovely Tempura prawns, pickled soft vegetables and sesame emulsion & hubby opted for the Double baked gorgonzola soufflé, biltong shavings and hazelnuts. I must say each plate is so immaculately put together really does look like a well thought out work of art. 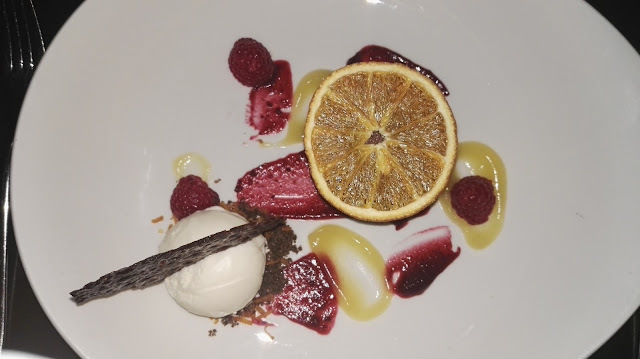 Each meal was perfectly paired with a wine that complimented it beautifully. 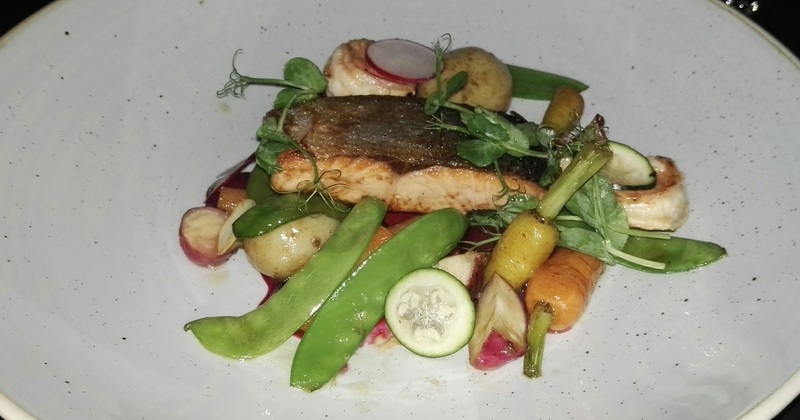 We then moved on to main meals which I then chose the Grilled fillet of beef, spinach purée, melange of vegetables and jus & hubby chose the Line fish of the day, lemon butter poached prawns, honey and ginger glazed radishes and a passion fruit and lime sauce. 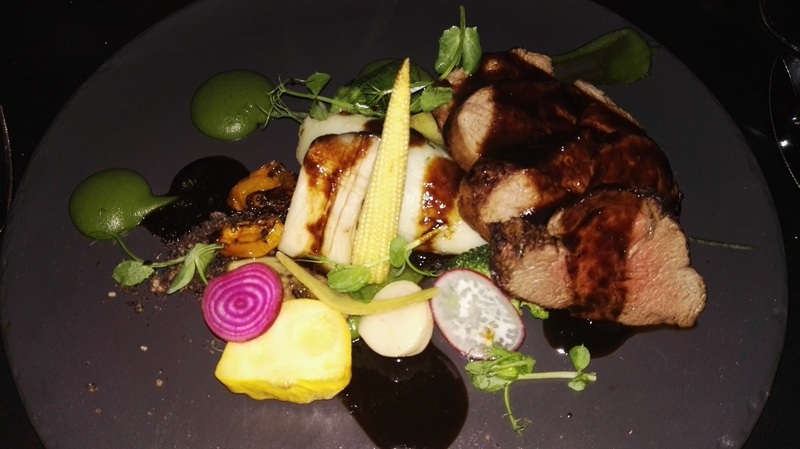 I am a huge beef fan I can safely say that this grilled fillet of beef was most probably the best I have ever tasted. Literally while I was eating the hostess came to check on us and she caught me in a moment of having a mouth full of food and my eyes closed... she giggled, smiled and said "clearly you are enjoying your meal".It really was absolutely perfect! In awe of how great this meal was I chatted to my husband telling him that I really think we should send our compliments to the chef as everything was so delicious & beyond my expectations and as Murphy's law would have it the table along side us had requested to speak to the chef and compliment him on the amazing food & we were in absolute agreement! 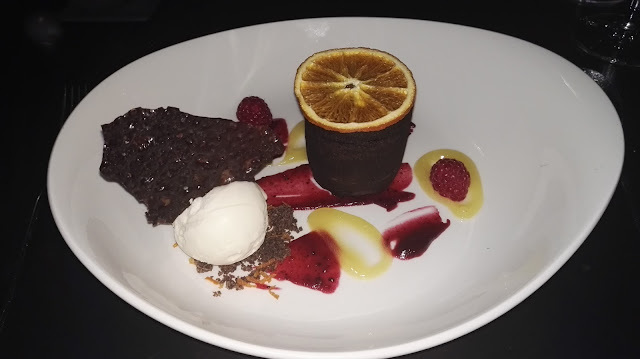 We then proceeded to desert and that was really a master piece. 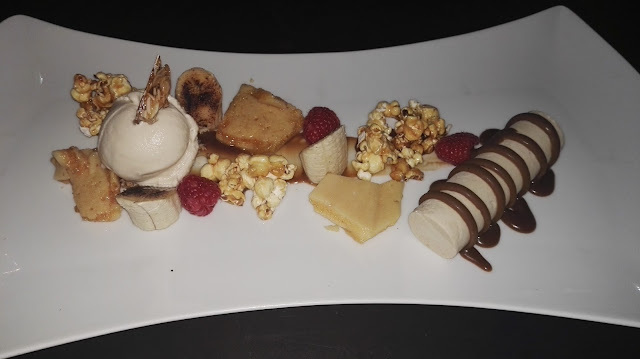 I chose the Hot chocolate fondant with orange ice cream and bitter sugar brittle & hubby had the Banana parfait, butterscotch sauce and banoffee. Which were both absolute winners. How beautiful are these plates, besides eating with my tummy I definitely ate with my eyes too. We left the restaurant well past 10:30pm with a full tummy, good conversation made by the hostesses as well as a soul revived and ready to take on the world again. A couple of weeks ago I got the opportunity to try out these much talked about cold pressed juices. I must say that before trying them I have had colleagues juicing all around me for quite a few days on end, and have heard nothing but praises about One Juice products. 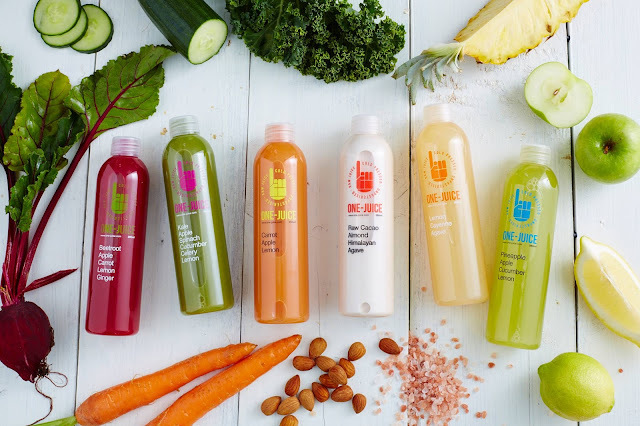 So let me just give you a bit of background, One-Juice is a cold pressed juice company servicing South Africa with delicious healthy juices, juice boxes and cleanses. They believe that eating raw natural food is a smart long-term health strategy and at One-Juice they make doing this easy, tasty and convenient. 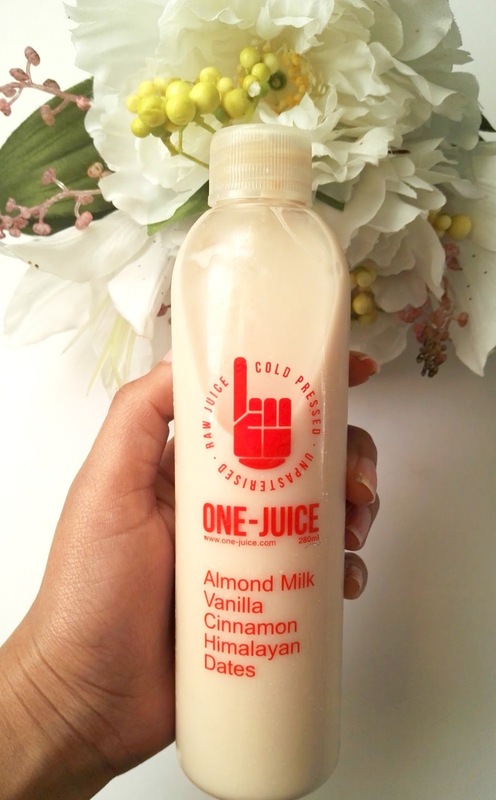 One-Juice products contain NO chemicals, NO added sugar, NO preservatives, NO animal products, NO gluten, No pasteurization and NO diary. The juices are also cold-pressed to extract the maximum amount of vitamins, minerals and enzymes. Also all juice boxes comes in sizes of 16 & 24 and can be consumed by the whole family as a healthy drink added to your daily diet, ensuring you and your family get the nutrients your bodies need. How long does these juices last? The juices last for up to 4 days in your fridge and can be frozen to last longer. (Remember to remove a little juice from the top before freeze so as not to pop your lid). The juice cleanses consist of 8 juices to drink through-out your day, for periods of 3, 5 or 7 days. We offer two levels; regular consisting of our 6 flavours of juice and all green consisting of 6 green juices and 2 spicy lemons. You can also request all green with no apple. I unfortunately did not get the chance to try all of them however the 1 that I did try was surprisingly delicious seeing that the juice contained no added sugars & preservatives, the white juice was one of the cold presses juices I got to try for 5 days which consisted of Cacao beans containing natural chemicals called flavonoids which are a type of antioxidant compound that promotes general health, might lower your risk of several diseases and is a natural energy booster. The almonds found in the juice are high in monounsaturated fats, which have been associated with reduced risk of heart disease. It is also known to reduce cholesterol when substituted for other protein sources and are also a great source of vitamin E! The Cinnamon added to the juice is antimicrobial and aids the body in controlling blood sugar levels. There are 6 different variety of juices such as green juice, gold juice, red juice, spicy juice, carrot juice and the one 1 I tried which was white juice. I then also managed to try One Juice super smoothies, which I think is the best concept yet. 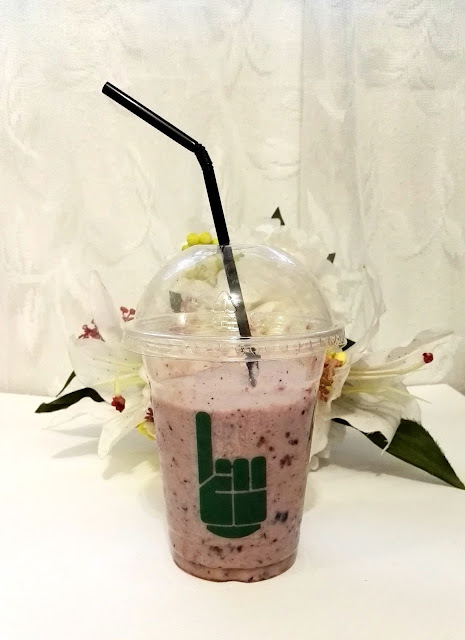 I received quite a few pre-portioned smoothie mix which had all the ingredients in all ready, all you had to do is add your base which is either water & ice or a almond, soya or dairy milk. As I got home I placed the pre-portioned smoothies in my freezer and tried various ones for 3days. I would just take it out of the freezer, wait for it to slightly defrost, add my base & then blend it with my stick blender. As easy as that, and then for next 3days I had delicious healthy smoothies on the go. My favourite has to be the Berry Bliss, Chai Blue and Vanilla sky. I will definitely recommend you to try out these juices, I'm sure you will love it too. Once you try it, tweet me and let me know which is your favourite flavour?